VΙΕΝΝΑ extra virgin olive oil is produced in the most famous groves of Crete. From the north the Dikti Mountains and from the south the Libyan Sea compose a particular mountain microclimate, ideal for olive trees and its produce. 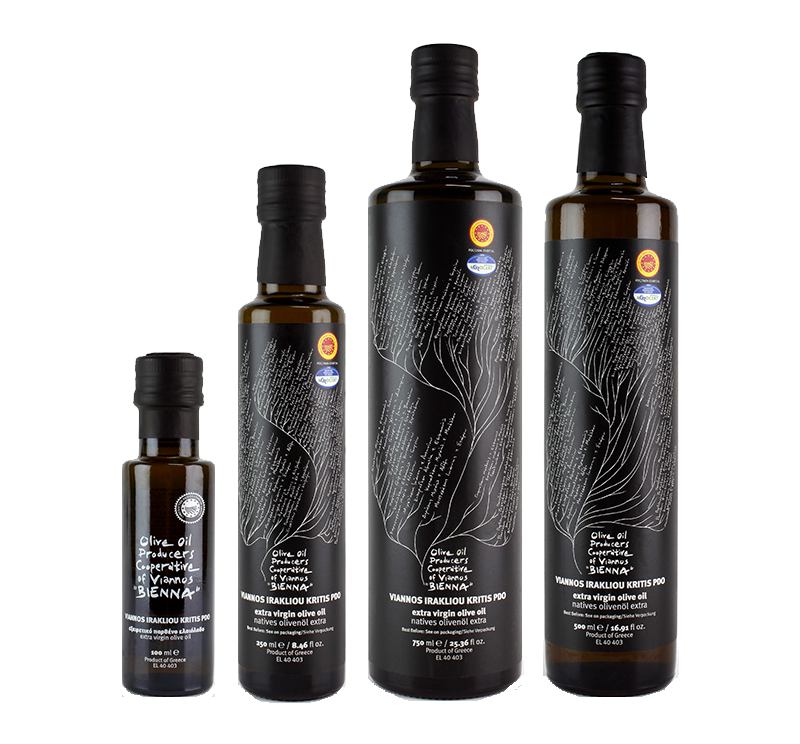 As a result, a tasteful and balanced olive oil, rich in aromas and flavors of the Cretan nature is given to you. VΙΕΝΝΑ extra virgin olive oil worth your attention and a place to your family table, as it will do credit to you for your choice. VΙΕΝΝΑ olive oil is has grown-up many generations in Viannos, and it embraces the valuable experience of our grandparents. You will find it at a number of packagings of 250ml to 5Lt.